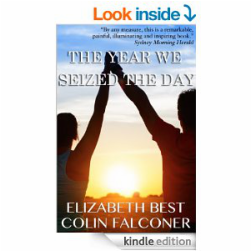 USA Readers: order The Year We Seized the Day, direct to you Kindle device and start reading in seconds! UK Readers: order direct from the Kindle store. ANZ Readers: download The Year We Seized the Day straight to your PC or iPad, eBook reader or smart phone. Click the relative link to order your copy of The Year We Seized the Day, and have a shiny new edition delivered right to your door. Book. Author. Amazon. Camino de Santiago Pilgrimage.